Stick It! 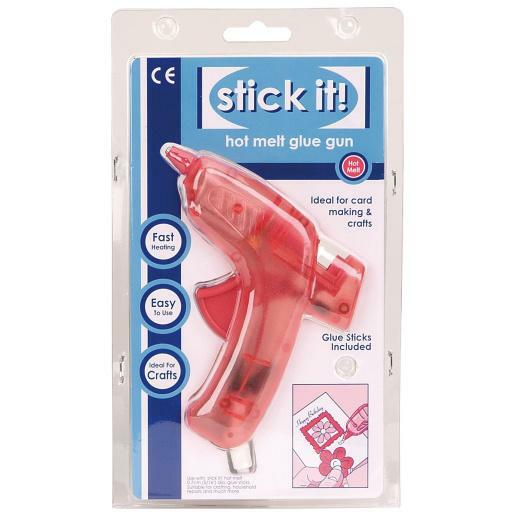 Hot Melt Glue Gun fitted with a UK plug with a 3A fuse. Ideal for card making, crafts and household repairs. The easy trigger action ensures quick, clean sdhesive application. Heats up in just 3-5 minutes. Includes 2 x 7mm Glue Sticks.